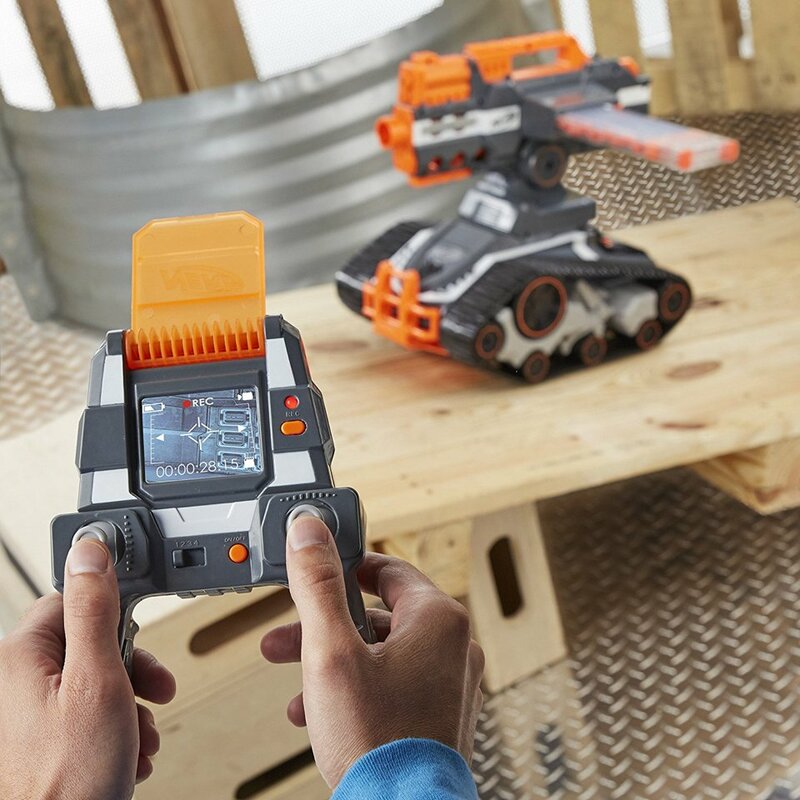 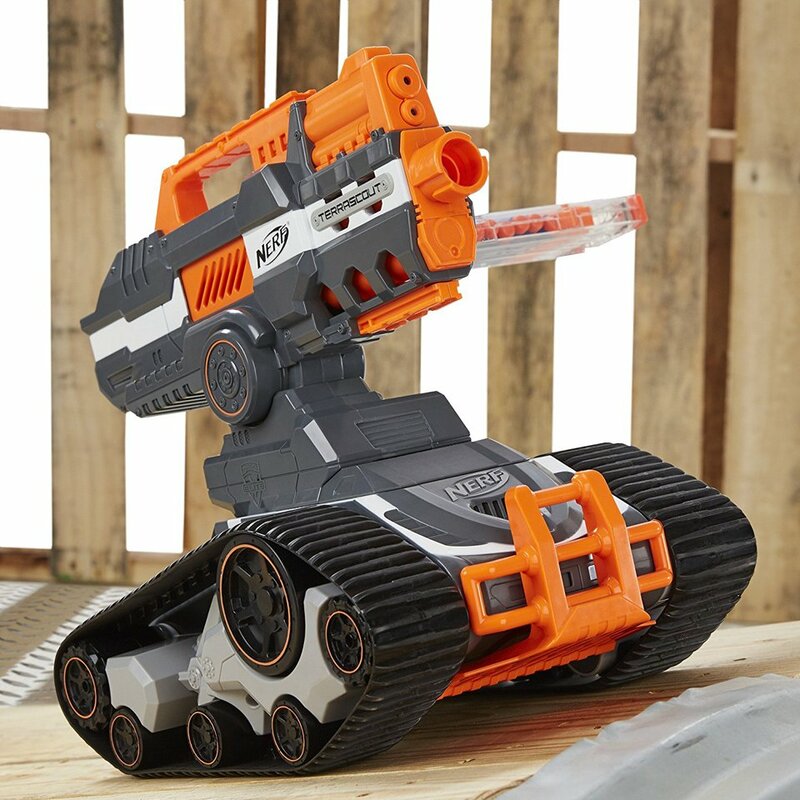 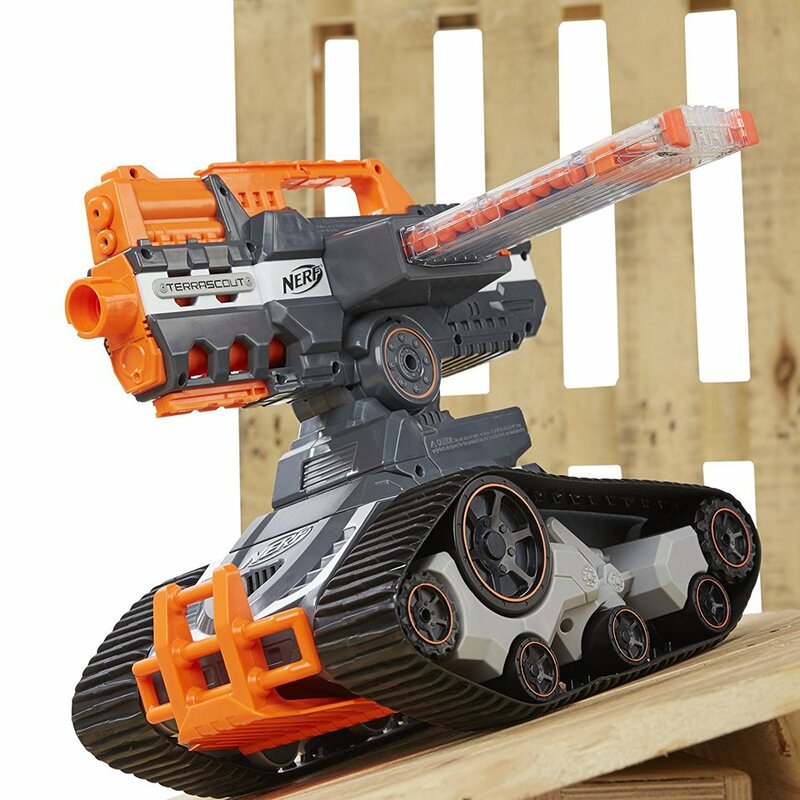 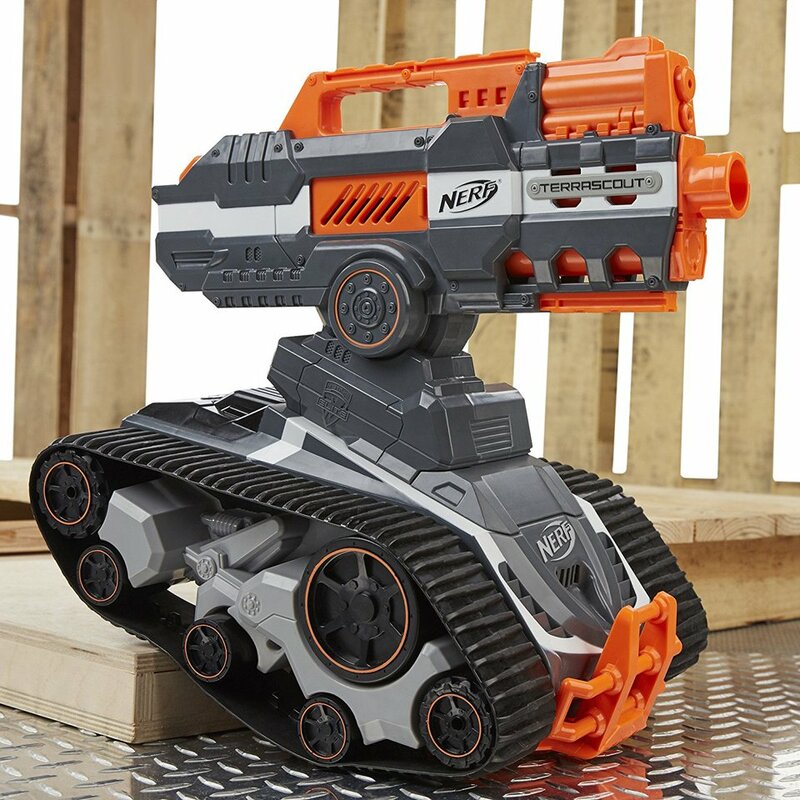 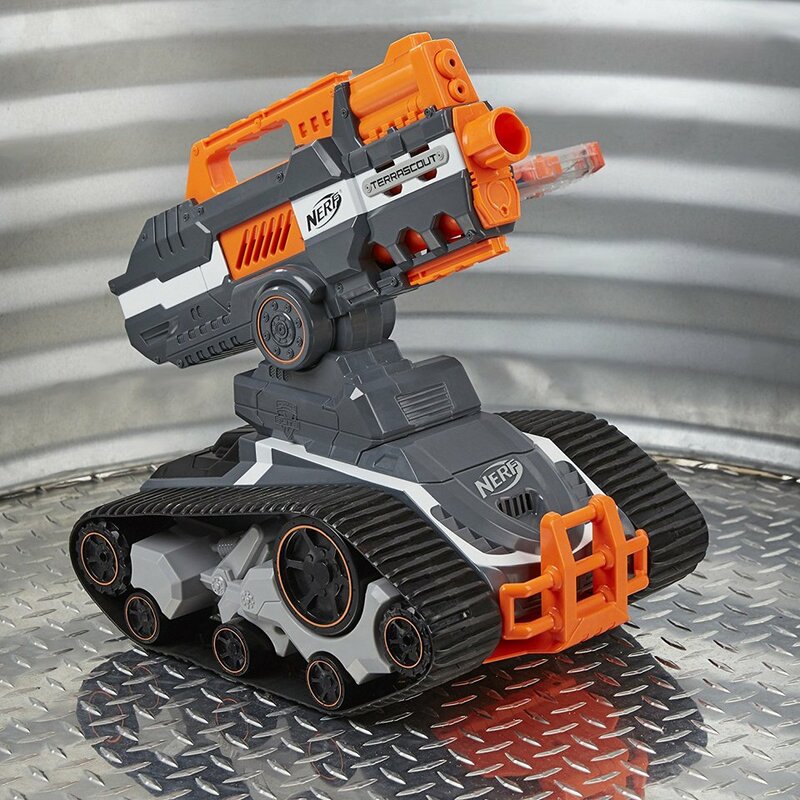 Nerf’s flagship blaster is mounted on a remote-controlled tank. 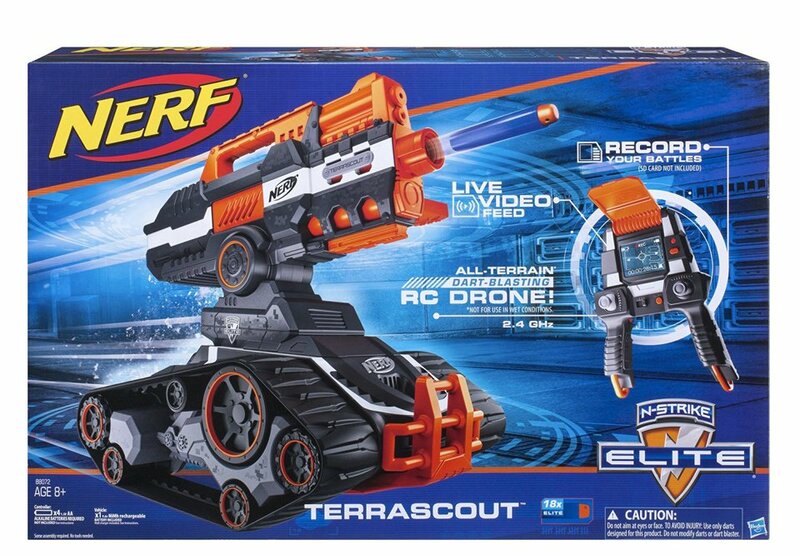 The TerraScout goes up to 2.4mph and spins on a dime. 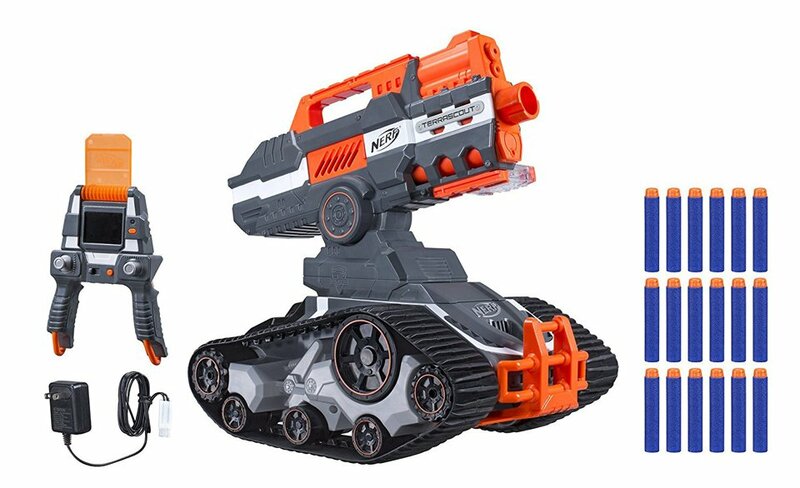 It comes with an 18-dart clip and a controller that streams POV video from the toy. 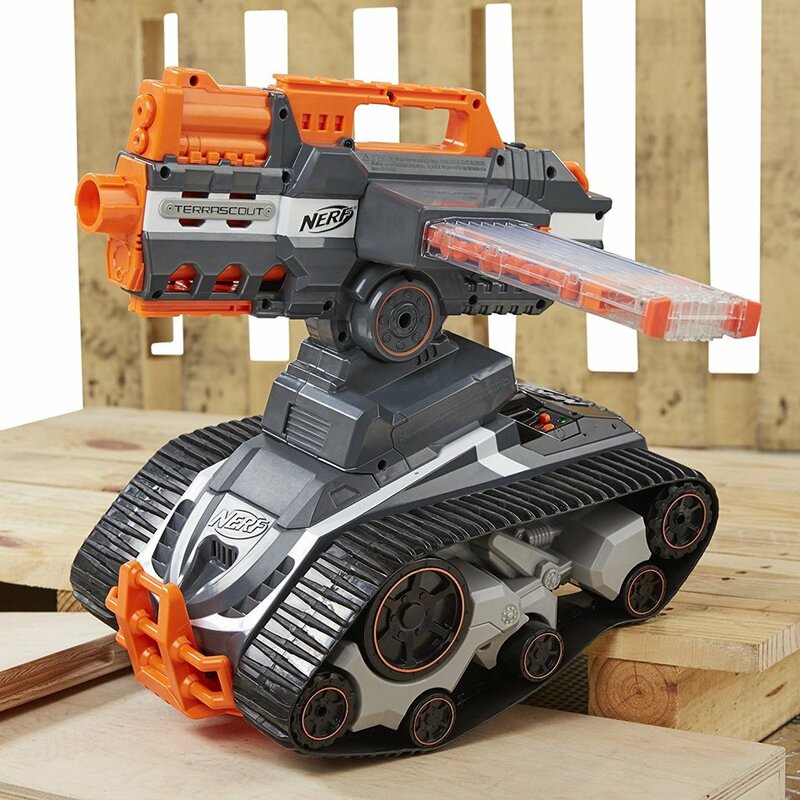 You can save its videos to an SD card.